Engaging tenants at every level. Open, creative spaces. On-site amenities. Environmentally conscious buildings. Visibility. Accessibility. Creativity. All in an inspiring environment unique to the Phoenix area. ​A new restaurant is opening in south Tempe. The new concept, called Tres, will open this fall Discovery Office Park at 7200 S. Price Road. The restaurant's offerings include Southwest, Spanish and Mediterranean food. Zimmerman previously was executive chef at the Sheraton Crescent Hotel in downtown and Wyndham Phoenix Hotel prior to that. The 6,379-square-foot space is owned by New York-based Widewater Hotels, which owns the Hilton Garden Inn nearby at the Arizona State University Research Park. This appears to be its first restaurant. 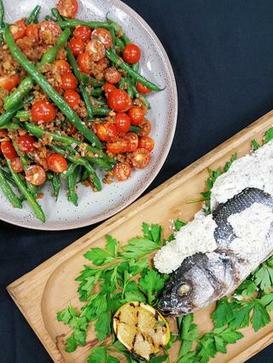 Tres is among the latest restaurant developments in south Tempe, which suggests that the area will likely be seeing more restaurant growth than in years prior. Steven covers retail, restaurants, hospitality/tourism as well as aviation, small business and nonprofits. JPMorgan Chase & Co. is developing a big new 67-acre campus in Tempe with plans of eventually locating more 4,000 jobs there. 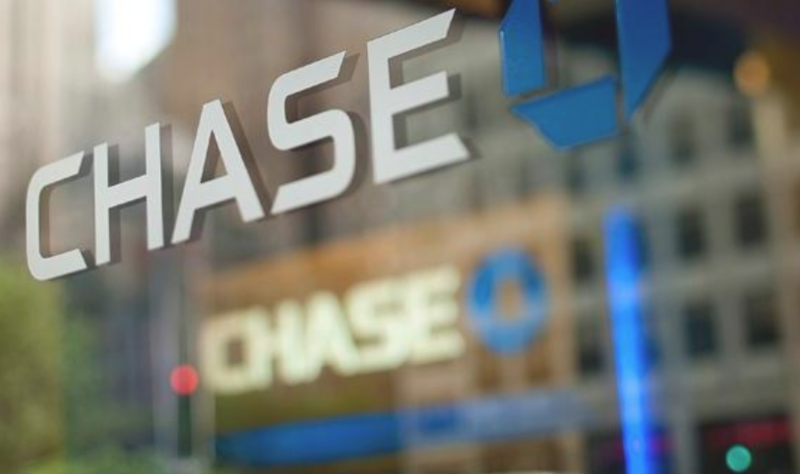 Chase (NYSE: JPM) will land the big campus at the Discovery Business Campus at Elliot Road and the Loop 101 freeway. The bank will be shifting a number of jobs from the Chase Tower in downtown Phoenix to the new Tempe campus. Chase will keep some operations in downtown Phoenix. It has 2,000 workers in downtown Phoenix. Chase Tower is the tallest building in the state. Design and construction planning will start later this year. The first phase of employees moving into the Tempe campus will happen in 2018. 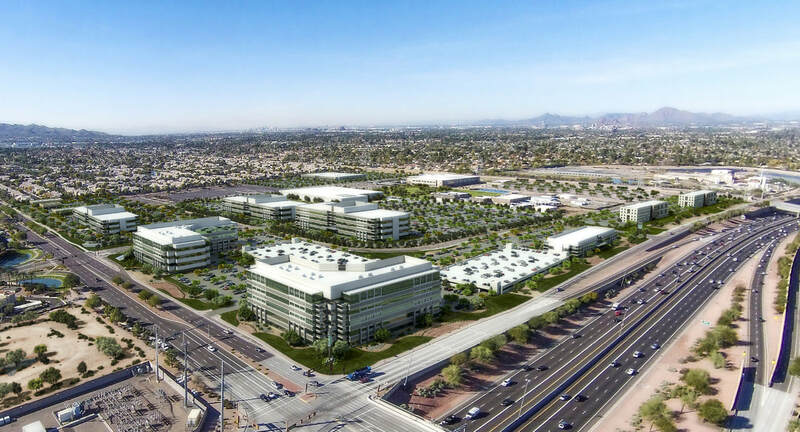 "Because JPMorgan Chase is committed to the metro Phoenix market, we’ve signed an agreement to make a significant capital investment and purchase 67 acres within the Discovery Business Park, located at the northwest corner of Elliot Road and Loop 101 in Tempe. This new campus will make it easier for our employees to collaborate in providing outstanding service and solutions to customers and clients around the world. We are excited about out ability to grow our business in Arizona, as well as provide facilities, work environment and accommodations our employees need and deserve. The move is another jobs win for the East Valley. Intel Corp. (Nasdaq: INTC) announced earlier this year a $7 billion investment and 3,000 new jobs in Chandler. Northern Trust Corp. (Nasdaq: NTRS) and State Farm have also landed big campuses in Tempe. Chase is one of the biggest banks in the Arizona market. Bank of America (NYSE: BAC) and Wells Fargo & Co. (NYSE: WFC) are the two other big Arizona banks. They also have operations in downtown Phoenix. 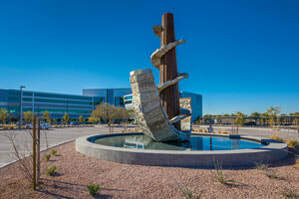 Discovery Business Campus is a 1.9 million-square-foot mixed-use, multitenant business park in Tempe, Arizona. Internationally acclaimed sculptor Ilan Averbuch was commissioned to create custom works of art that are located throughout the campus. ​A nearly vacant semiconductor campus is transformed into a vibrant mixed-use business park that is attracting new users to its Tempe, Arizona, submarket. WHAT HAPPENS WHEN a developer decides to take a chance and purchase a half-vacant, dilapidated semiconductor campus in an unproven location while the market is still heavily impacted by the recession? Wentworth Property Company (WPC), along with financial partner Northwood Investors, took that opportunity to transform the property into a modern, multitenant mixed-use business campus. In June 2010, WPC first toured the former Motorola/Freescale Semiconductor campus, which consisted of four industrial buildings totaling about 770,000 square feet (451,000 square feet of which were occupied) and three ancillary buildings totaling 50,000 square feet. On paper, this property looked like a clear “no.” Nothing about it — its outdated design, aging infrastructure and unknown demand in the submarket — seemed to make sense. But Jim Wentworth Jr., principal with WPC, saw a blank canvas and an opportunity. He recognized the value of the property’s location in Tempe, Arizona, adjacent to the Loop 101 freeway at a full-diamond interchange, as well as its size (136 acres) and proximity to a large, educated workforce. Wentworth knew that translated to three of the top “wish list” items for a corporate user: access, parking and labor. WPC committed to utilizing the existing buildings, believing that the structures could be redeveloped into modern office space. Staying true to that belief, WPC and Northwood purchased the property in June 2011, exactly 12 months after that first property tour, and immediately renamed the project Discovery Business Campus. Widewaters Hotels is putting the finishing touches on initial plans to build a five-story, 228-room, dual branded hotel in Tempe. When completed, Widewaters will operate the facility under both the Hilton Garden Inn and Home2 Suites flags. The six acre site at 7200 S Price Rd., just south of Guadalupe Road, will be a ground-up build. Construction is planned to begin in December and last 18 months. Plans also call for 5KSF of restaurant space on site. Widewaters currently operates 12 hotels in eight states. The hotels will feature separate registration desks and distinct room layouts but will share amenities like the swimming pool and fitness areas. NOTE: Paid subscribers receive additional project details in our twice-weekly PDF publication, including project stakeholder information and valuable project bidding leads. Find out more about AZBEX subscriptions or try a complimentary one-month subscription today. A five-story, 228-room hotel will be built on nearly six acres of the 136-acre Discovery Business Campus northwest of Loop 101 and Elliot Road, pending approval by Tempe. Word on the street is that the flag will be a Hilton Garden Inn and Hilton Home2 Suites. Wentworth Building Co., which owns the business park, is selling the hotel parcel to an undisclosed buyer in a deal that is scheduled to close in May. The buyer will choose the architect, landscape architect, civil engineer and general contractor. Other construction is under way on the campus. A 237KSF building, to be completed by the end of March, will house Shutterfly, a company that sells photo books, greeting cards and photo gifts. The general contractor is Mesa-based Kennedy Design Build. And the first of what will eventually be three office buildings for Northern Trust, being built by Wespac Construction Inc., is expected to be completed in November. The three-story structure is 150KSF and the other two buildings will be mirror images of the first. The architect for both the Shutterfly and Northern Trust buildings is Davis; the landscape architect is The Design Element; and the civil engineer is Erickson & Meeks Engineering. Already existing on the campus is 9KSF of restaurants, which are Jimmy Johns, Smashburger, Kneaders Bakery & Cafe, Chipotle and MOD Pizza. Also on the campus are four buildings fully occupied by office tenants; their sizes are 165KSF, 133KSF, 171KSF and 282KSF. After the Northern Trust complex is built, one more space will remain, and that spot is expected to be developed according to market demand. 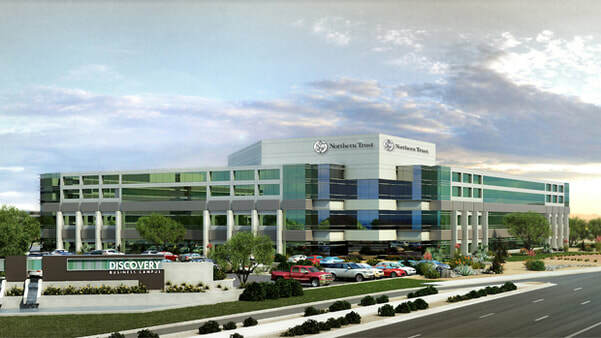 Seeking to meet long-term global growth needs and expected demand for services, Northern Trust announced plans to expand in Arizona by opening a new operating center in Tempe. The center – expected to open in mid-2015 and grow to 1,000 full-time employees over the next three years – will provide multiple financial business and banking services, with staff performing a wide variety of roles across Northern Trust business units and functions. Positions will range from entry level to highly specialized leadership roles. • Projected growth in demand for services, even in light of expanding operations in Limerick, Ireland, and the opening of a new facility in Manila, Philippines. • Need to widen its client-support coverage to allow for time zone differences, and to supplement work of existing U.S. resources to deliver quicker response times to clients. • Opportunity to widen talent pools and achieve greater geographic diversity. The new office will be located in the Discovery Business Campus in Tempe. Northern Trust will occupy temporary space on the site while a new building is constructed. The permanent space is expected to be ready by the end of 2015. Pamela Higdon will serve as Director of the Arizona Operational Center. She previously held a variety of leadership roles, including Head of Planning and Development for Northern Trust Hedge Fund Services. Arizona has been a home for Northern Trust since 1974. Its network of three offices and more than 150 partners provide a full range of trust, private banking and investment services and employs the fourth largest number of Northern Trust staff in the U.S. At the end of 2014, Northern Trust had $6.2 billion in assets under management in Arizona. "The Price (Road) Corridor is technology and employment stretching from Chandler through Tempe," Tempe Development Director David Nakagawara said. "It's a hot spot." Jim Wentworth, co-owner of Wentworth Property Company, said that investors are choosing the corridor over sites in Phoenix and Scottsdale because of the region's dense population and recreational, cultural and retail amenities. Wentworth Property is building a 136-acre business campus on the corridor at Elliot and Price roads in Tempe. The construction of freeways in the Southeast Valley facilitated access among employment hubs for people who live in the suburbs and has boosted investors' interest in the corridor. "What corporate America wants today is nice Class A office space near freeways and plenty of amenities," Wentworth said. On each end of the corridor are major shopping centers — Tempe Marketplace and Chandler Fashion Center. ASU in Tempe offers an education resource for employees and employers. "In that region of the Southeast Valley you're close to one of the largest universities in the nation and you're close to Intel, which really put technology on the map for the area with all those engineers working there," Wentworth said. "The area had a magnetic pull with that mass of highly-educated employment, and I think it will continue to build momentum." Corporations are drawn to the diverse and abundant labor force. "Our demographics show there's 1 million people within a 10-mile radius of that site," Wentworth said. "That market down there is one of the most desirable labor markets for corporate users because of the access … to the gamut of workforce from the lower-skilled all the way up to the highly-educated workforce." Discovery Business Campus, the 136-acre mixed-use development at Elliot and Price roads, is the city's largest project under way on the corridor, Nakagawara said. Last year, Scottsdale-based GoDaddy broke ground on a new technology and customer-service center in the ASU Research Park. The site is expected to add about 300 employees to the Web host's existing workforce. "Discovery Research … brings some economic diversity, some high-quality jobs and a great synergy with our partner, Arizona State University in Tempe," Nakagawara said. Wentworth said hotels, retail and restaurants planned for the Discovery Business Campus will serve the growing workforce and visiting entrepreneurs and researchers tied to the new corporations moving into the corridor. Wentworth Property purchased the land, across the street from ASU Research Park, in 2011 from Freescale Semiconductor, which remained on site. Early this year, State Farm opened an office at the campus in an existing building. Plans for Discovery Business Campus include one two-story office/industrial building, four office buildings ranging from four to eight stories, two six-story hotels with a total of 400 rooms, space for restaurants and stores and a three-level parking structure. The first new building, which will house two restaurants, is under construction and expected to be completed within two months. By this time next year, three more restaurants will open in buildings planned for the next wave of construction, Wentworth said. Shutterfly, an Internet photo-storage company, will move into a 200,000-square-foot building that will break ground in the summer on the far northwestern end of the campus, he said. Wentworth said his company feels so strongly about the looming opportunities that they are building a three-story, 158,000-square-foot building despite not having secured tenants for the space. "Our feeling is we're going to have a high-profile building with a large chunk of contiguous space that will have a high parking ratio — that kind of space is short in supply and high in demand," he said. Wentworth expects the surge in development along the corridor to create demand for future hotels. "We envision one limited-service hotel and one extended-stay hotel to just feed off all the opportunities in the area," he said. The timing finally could be right for the Continuum business park in Chandler's Price Road Corridor. Southwest Value Partners, the real-estate investment firm co-founded by Phoenix Suns majority owner Robert Sarver, purchased the 152-acre development for $51.75 million in February. The combination of new ownership, enthusiastic backing by Chandler development officials and a hot market for office space in the Southeast Valley could help the technology park take off. In 2011, CyrusOne Data Center purchased a portion of the land. In 2012, an office building on the site underwent a $4 million renovation. In 2013, Nationstar Mortgage and OnTrac Shipping moved into the building. Justin Merritt, with Southwest Value Partners, said the company was interested in Continuum for years and jumped at the chance to purchase it. "The Chandler submarket, and Price Road Corridor specifically, is one of the top office markets in the Valley right now," Merritt said. "They're seeing a tremendous amount of activity. We felt this project, where it stood today in terms of infrastructure and redevelopment of the project, made for the perfect acquisition." Chandler offered incentives that required a more tangible investment in the project long before the most recent sale. Chandler Economic Development Director Christine Mackay said city planners believed as far back as 2008 that they need a technology park in that area and took steps. The city pumped $10 million in infrastructure improvements into the area. The money provided new roads, water and sewer systems, along with landscaping and water features. Those decorative landscaping touches make a big difference in helping Chandler compete, Mackay said. "We don't lose often, but when we do, we debrief with those companies to ask what it was about Chandler they didn't like," Mackay said. "What didn't they find here? What we were hearing was we didn't have a site with a sense of place." Mackay said high-tech employers wanted an area with a campus-like feel to rival Research Triangle Park in North Carolina, Legacy Business Park in Texas or even ASU's Research Park in Tempe. They wanted a place where employees would feel comfortable spending time indoors or outdoors and could feel connected to the site. "We've gotten tremendous feedback from our citizens who feel like they've gotten another park out of it," Mackay said. "They ride their bikes through there. They hike through there and they take their dogs for walks. It's really connected." What is Discovery Business Campus? 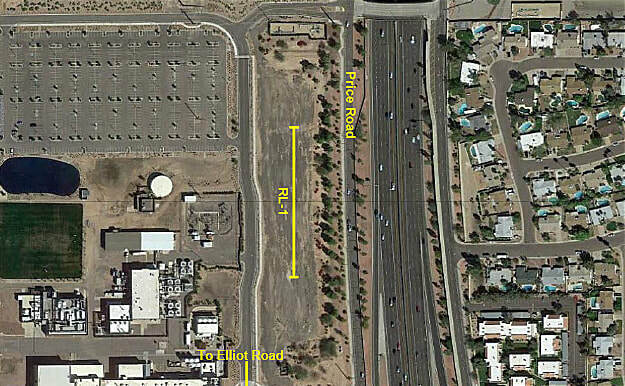 A 136-acre business park at Elliot and Price roads. Nearly 800,000 square feet of existing buildings. Up to 1.6 million square feet of additional space for office, hotel and retail development. The Price Road Corridor is one of the hottest commercial sectors in the Valley Metro area. And with the area 50% built out, a tipping point is not in sight. With the sector employing more than 35,000 people and expectations for 75,000, the sector is also a contributing factor to making the surrounding areas like Chandler, Tempe, Mesa and Gilbert some of the Valley’s most desirable places to live. The Price Road Corridor is bordered by Ray Road to the north, Ocotillo to the south, Dobson to the east and McClintock to the west. It’s surrounded by high-end retail, and single and multifamily housing. Seeger says after the retail and freeway were added, the area became a major attractor for employers seeking a young, educated workforce. A bevy of deals over the past month have involved the Price Road Corridor—most notably perhaps is the $51.75 million sale of the Continuum Business and Technology Park, the former Motorola campus. The campus consists of a 463,300-square-foot, class A office building on 152 acres. A piece of the Valley’s technology history came down last Saturday to make room for a business campus targeting high-tech and innovative companies. The old Motorola radar tower at Elliott Road and the Loop 101 was demolished. Rising in its place will be the Discovery Business Campus, a 136-acre mixed-use office park designed for today’s companies with an eye to the future. View a video of the future site. “A piece of the tower will be preserved on the campus to honor the legacy of the scientists and innovators who fundamentally changed how we share information,” said Jim Wentworth, Jr., principal of Wentworth Property Company. Wentworth is developing the site where Motorola Government Electronics Division employees tested and refined military communication technology. Freescale Semiconductor now occupies the Motorola facility. In addition to Freescale, the site also has three existing buildings with room for 1.6 MSF for Class A office, flex office, hospitality and retail development. Wentworth and its partner, Northwood Investors purchased the property from Freescale Semiconductor for $53.7M in 2011. The tower was built in the mid-1970s to test Motorola’s radar technologies. Large military communications trucks would come to the site for system and equipment testing. Motorola stopped using the tower as a testing site in the mid-1980s. Since then the tower has been used by a Motorola amateur radio club, a Freescale HAM radio club and as a T-Mobile cell phone tower. Dickens Quality Demolition of Phoenix did the job.